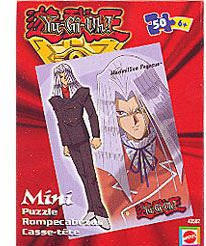 Size (inches): 2.76" X 1.18" X 3.54"
Yu-Gi-Oh Mini Puzzles feature the characters from the hit television show. Collect them all. Dimensions: 12.7cm X 17.78cm (5" X 7".